Hendrik Müller, born in Berlin in 1977, was highly praised for his recent productions, recently Bizet’s Carmen for the opening of Theater Regensburg’s 2016/17 season or Cavalieri’s rarely performed Rappresentatione di Anima e di Corpo, which marked his debut at Frankfurt Opera. He returned to this house with a new production of Verdi’s Rigoletto in March 2017.
beyond, same as the 2011 Potsdam Sanssouci Festival opening production of Ristori’s Calandro. Claude Vivier’s Kopernikus in Freiburg (fall 2012) was enthusiastically reviewed in the national press and will be shown next year at contemporary music festivals. With Cavalieri’s Rappresentazione di Anima e di Corpo he will make his house debut at Frankfurt Opera in summer 2013. He was fellow scholar of renowned Akademie Schloss Solitude, worked for Halle Handel Festival, and the world premiere of EunSun Lee’s Vorfall in Kwangju marked his directing debut at Dresden State Opera in 2008. Hendrik’s production of Anton Schweitzer’s Alceste in the Weimar Residential Palace honouring the re-opening of the famous Anna Amalia library gained international acclaim from both critics and audience. It was invited to Ludwigsburger Schlossfestspiele and Nürnberg State Theatre, has been commercially released on DVD and was shown several times on TV. Prestigious opera magazine „Opernwelt“ nominates the production for „season’s best rediscovery“. Furthermore, Hendrik has worked in Berlin (Handel’s Brockes Passion, Stravinsky’s The Soldier’s Tale), for Coburg Theatre (Babytalk by Peter Lund), Potsdam (a.o. Pergolesi’s La Serva Padrona), Rheinsberg, Freiburg (Korngold’s Silent Serenade), Frankfurt/Main (Jörg Widmann) and Lodz (Samson et Dalila). He held a scholarship of „Akademie Musiktheater heute“ (Deutsche Bank Stiftung) and was laureate of several competitions for young directors, such as „ring.award.06″(3rdprize) in Budapest (Mozart: Le nozze di Figaro). He studied drama, musicology and German literature and was assistant director to Klaus Michael Grüber, Peter Mussbach, Reinhild Hoffmann and in particular to Achim Freyer. With Cavalieri’s Rappresentazione di Anima e di Corpo he made his house debut at Frankfurt Opera in summer 2013. 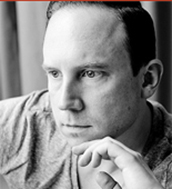 Since autumn 2014 Hendrik Müller works as Artistic Production Director for the operafestival St. Margarethen. In the season 2014/15 he staged Rusalka and Winter.Reise at Mecklenburgisches Staatstheater Schwerin. Early in 2016 Hendrik made his Asian debut with a highly acclaimed production of Mozart’s Magic Flute in Daegu (South Korea). For his next work, he will return for a second time within one season to Theater Regensburg where he will direct the world premiere staging of Moritz Eggert’s controversial opera FREAX. The season 2016/2017 has been followed by his successful debut at the Oper Frankfurt with the new production of RIGOLETTO on 19 March 2017. The season 2017/2018 begins for Hendrik Müller again with a production of Rigoletto, this time at the Daegu Opera House (South Korea). Another highlight of this season will be the new production of Puccini’s Edgar at the Theater Regensburg, which will be shown for the first time in its original version.